###GREAT GRADUATION GIFT!! !### 2004 Toyota Corolla LE 1.8L with only 85,086 miles! 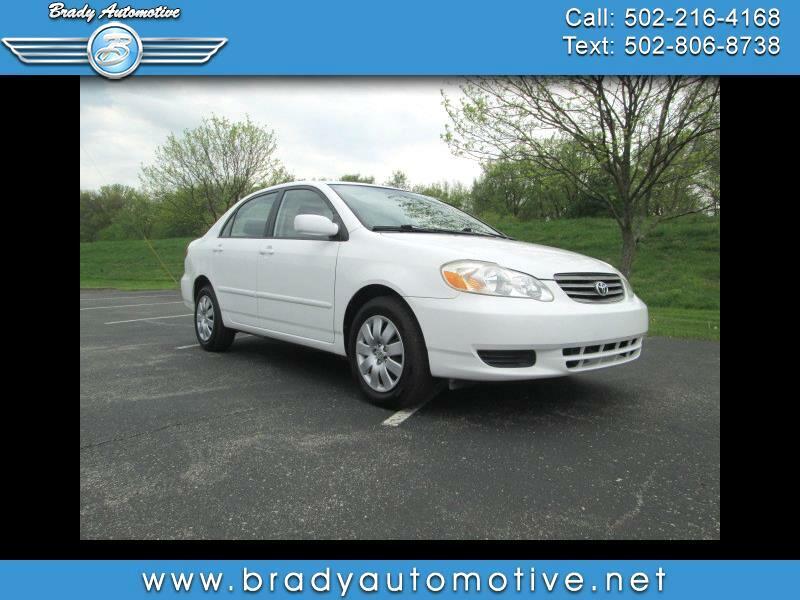 Comes equipped with power windows, locks and mirrors, CD, new tires, cold A/C and heat. This is a fantastic car inside and out and drives great! Very clean and ready to go! Make and great first car and you can't....beat....the....miles! Contact Chris to schedule a test drive or stop in and see us today. Thank you!